When given a choice, most consumers prefer to keep important appliances on the main floor. 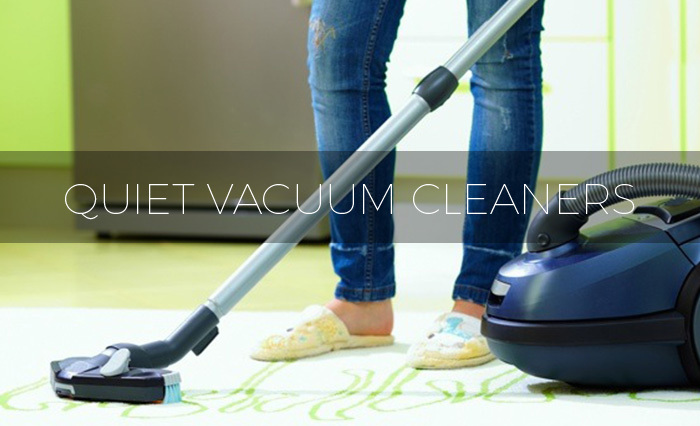 The problem is that many appliances are too loud to keep anywhere near the main floor of a home. By keeping your washer on the primary floor, you can benefit from the convenience of not having to walk up or down a flight of stairs. If your washing machine is producing enough noise to make conversations impossible, then you’ll need to hide it away in an inconvenient location. The solution to this problem is to purchase a quiet washer. It’s important for the appliance to be loud enough to let you know that it’s working properly, but it shouldn’t disrupt conversations and household activities. A quiet washer is capable of cleaning your clothes while never producing enough noise to disrupt leisurely activities. In the past, there weren’t too many options to choose from. Today, the marketplace is much different, and you must confront the problem of too many choices. With the right information, you can avoid choosing a low-quality product and make sure you end up with the best quiet washer for your needs, but to select a great product, you must know what to look for. Front-load washers are some of the hottest products on the market. 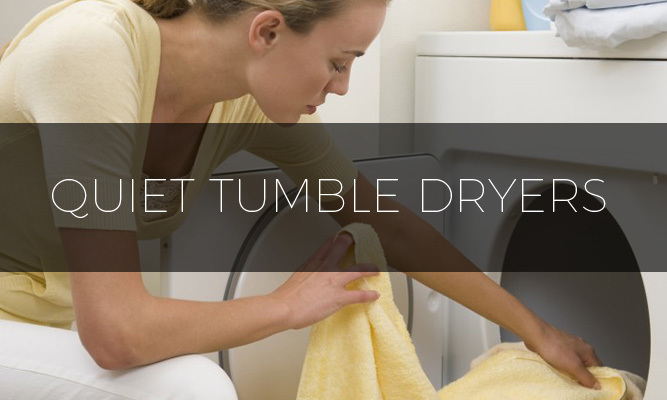 They make it easy to load your dirty clothes into the tumbler, and they come with a variety of useful features. Despite what has been said by some experts, not all front-load washers use a massive amount of electricity. You can find several models that barely use any electricity. For a lot of people, functionality is an important feature to consider. However, nobody wants to purchase an ugly appliance, so aesthetics is also important. Front-loading washers offer some of the best functions and sanitation cycles, but they’re not always the best choice for small spaces. Before you make a selection, it’s important to know the difference between traditional and front-load washers. A traditional washer has a vertical post, which spins and uses friction to remove dirt from clothes. A front-load washer is different because it doesn’t have a vertical post and uses a tumbling motion to clean clothes. 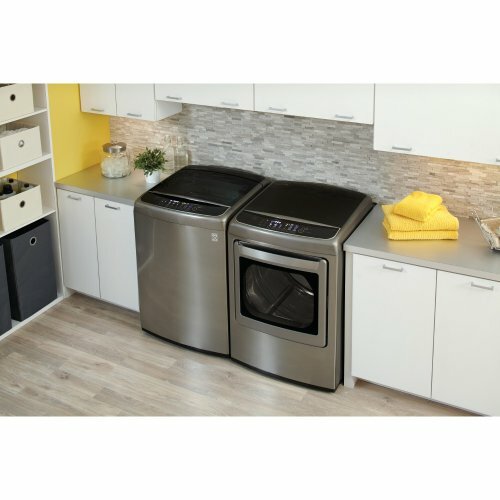 When shopping for the best quiet washer, these are two important features to consider. A larger washer might use quite a bit more electricity than a smaller alternative, so if you want to avoid spending a lot of money on electricity, consider getting a top-load washing machine that is Energy Star certified. For many consumers, water consumption is just as important as electricity. Most manufacturers list information about these topics in the descriptions for their products. When compared with traditional washing machines, top-load units tend to offer better energy efficiency, and they’re much more efficient over a long a period of time. If you want to avoid having to do several loads of laundry at a time, you should consider getting a washer that has a large drum. 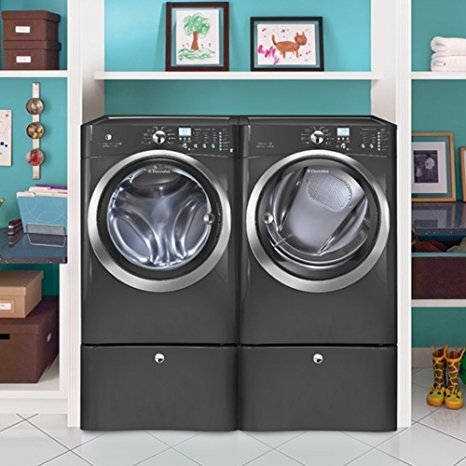 The bigger drum size will let you finish laundry faster because you won’t have to do as many loads. Most top-load washers have a larger capacity than traditional models. 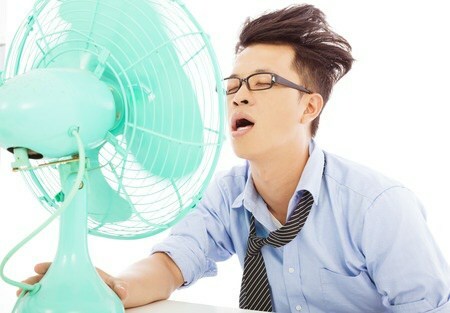 The problem with traditional models is that they use an agitator, which reduces the unit’s total capacity. When shopping for a quiet washer, it’s a good idea to consider the cycles. You’ll find that most washers let you choose between a permanent press and regular wash cycle. 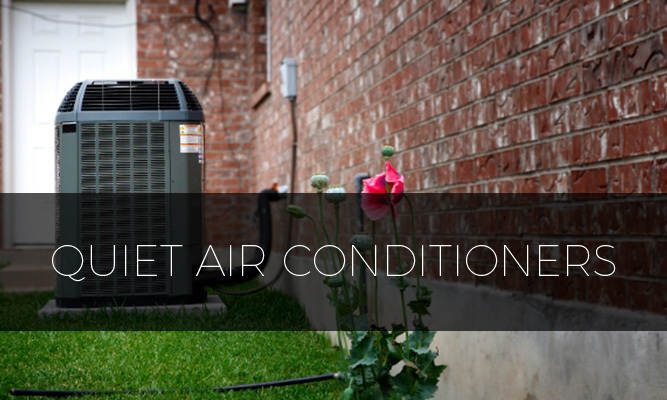 Some of the newest models offer allergen, eco-friendly, heavy-duty and delicate cycles. If your family has special needs for their clothes, then you should get a unit that offers several different cycles. Below, you’ll find reviews for some of the best quiet washing machines available. The Giantex Portable Washing Machine, is a little gem, particularly useful for students or people that move around frequently. 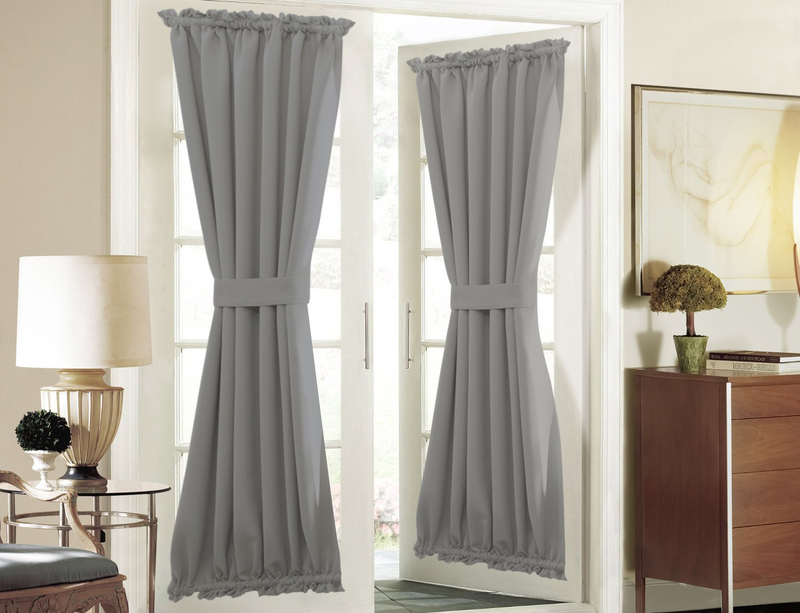 It is incredibly easy to install, small and compact so easy to move around. With a modest capacity of 7.7lbs it isn’t suitable for a large load. However, it will take a set of clothes, or a few towels with ease and provide a thorough clean. This washer comes with an automatic drain pump, 3 water levels and five different wash settings. If you’re looking for a quiet washer that is easy to move around, perhaps as a gift for a student leaving home for the first time, then the . Giantex Portable Washing Machine is a good choice for you. For those with the need for a much greater capacity comes the Electrolux EIFLS0LT. In this set, the Electrolux washer is bundled with the EIMED60LT Dryer. In the interest of relevance we will stick to discussing the washer, but be assured that the accompanying dryer is also one hell of a machine. 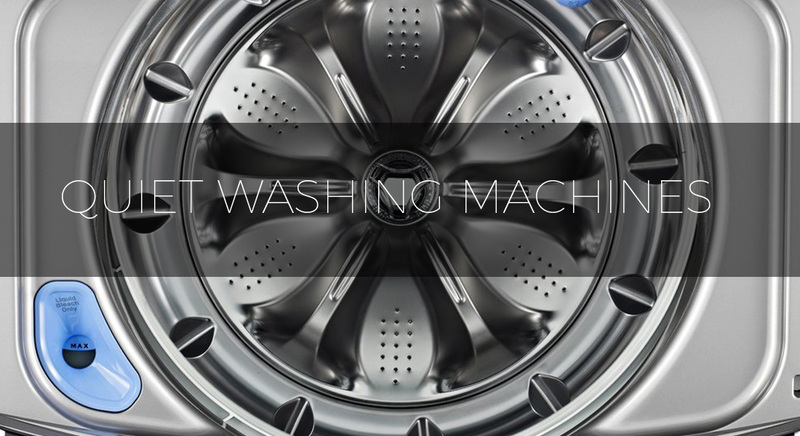 The Electrolux EIFLS0LT is a front load steam washer, and can fully wash a load in an incredibly 15 minutes. No joke. You can have a load both washed and dried in under 30 minutes and for a busy household with lots of kids that is outstanding. No longer do you have to struggle against the ever increasing pile of laundry when you can knock a wash and dry out of the park in under 30 minutes. There is hope for that laundry pile yet! The drum has a capacity of 4.3 cubic feet, so it’s not the greatest capacity out there, but can certainly hold more than it’s fair share of clothes. The drier has about twice that capacity. In addition to the many features, of which only some are above, there is also the Electrolux Luxury Quiet system, which ensures minimum vibration and noise from your washer. To top it all off the Energy Star certification ratings are incredible. This machine uses a meagre 102 KWh in estimated annual energy. That equates to an estimated $10 for average annual usage. So cheap to run, quiet to run and quick to run. It might not be cheap but it sure is good. The Haier HLP21N is a quiet washer, and since it’s portable, you can hook it up almost anywhere. With a capacity of one cubic foot, this washer can hold six pounds of clothes. 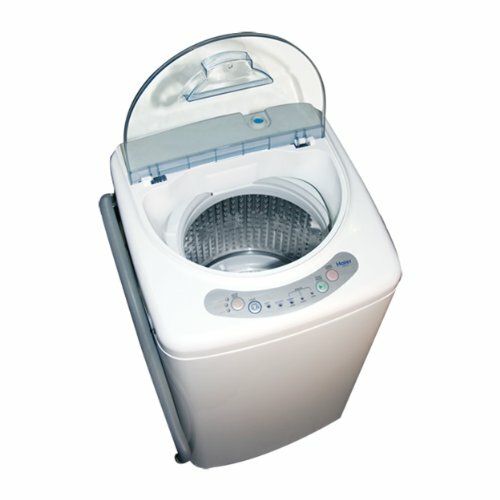 It offers three different wash cycles and water levels, which allow you to wash several types of items. The electronic controls give you total control over how the unit operates, and the LED indicator lights tell you what the unit is doing. The Haier HLP21N is designed to generate pulsating water waves, and it’s much quieter than a traditional washer. There are designated lights to let you know the status of the cycle, and a signal lets you know when the cycle is finished. This washer even comes with an adjustable leveling leg. For easy transportation, it has smooth casters, and it comes with a quick-connect sink adapter. The installation kit is easy to use and makes this one of the best portable washers on the market. The LG WT1701CV is a top-load washer, and it’s designed to offer a larger capacity than many competing models. It gives you 12 different wash cycles to choose from, and you can set it for five different temperatures. With the Turbo Wash feature, this unit can help you to shave some time off of every laundry session. Since it uses a front control, it offers a new spin on the traditional washer design. The LG WT1701CV is made with a stainless-steel drum, which is designed to resist rust. 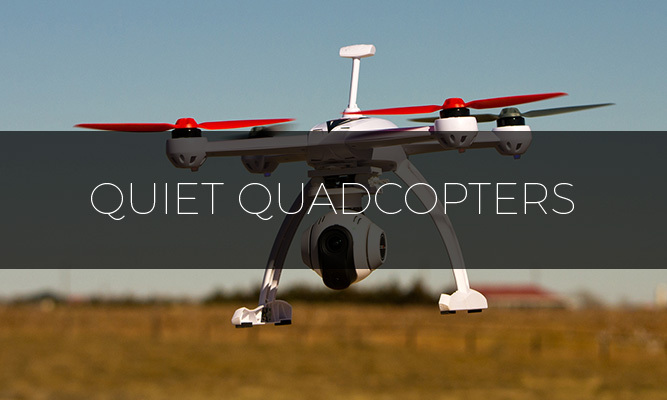 The drum is powered by a direct drive motor and spins at 1,110 RPM. All five of the temperature settings are cold rinses, so this washer uses less electricity than comparable products. The greatest benefit that this washer has to offer is quiet operation. Although it has a design that is similar to a traditional washer, it doesn’t make nearly as much noise. Another product that is worth considering is the Bosch WAW285H2UC 800 Series. It has about half the capacity of the Electrolux above at 2.2 cubic feet, but matches the wash to dry time of under 30 minutes. This model comes with WiFi and can be controlled straight from your smart phone. The Bosch WAW285H2UC 800 Series comes stacked with features as you would expect from a Bosch. One of the most impressive, and most relevant for this post though, is the EcoSilence motor which helps to keep the washer at an impressive 50 dba. For a washer that is very impressive, one of the quietest on the market. 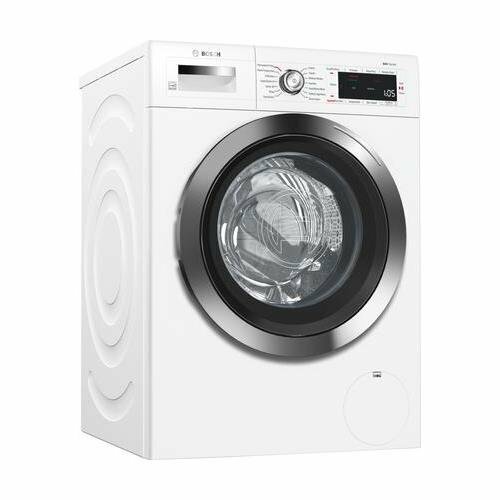 If you are looking for one of the quietest washing machines on the market, stacked with features and a modest capacity, then this could be the choice for you. There are two things that are true to say about Miele washing machines. 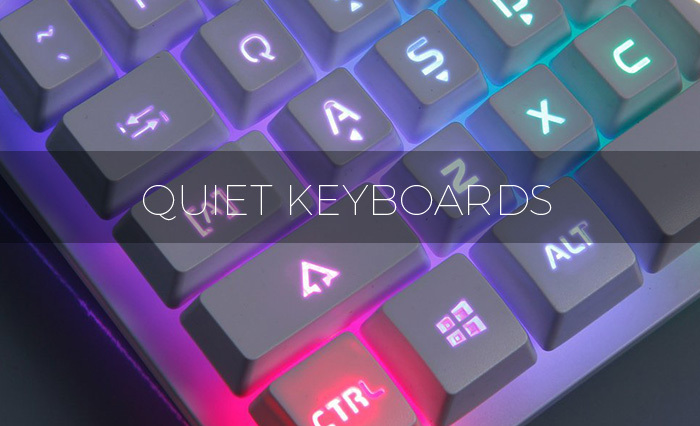 That is that they use high quality components, and that they are very quiet. Both of these factors work hand in hand to bring you incredible machines. It is the high quality brushes and bearings that contribute deeply to the quiet running of these machines. That kind of quality though does come at a price, literally. Miele machines are above average for cost but very few regret the investment. The W3038 Miele 24 Front Load Washer is no exception to this rule. While above average for price, it is well above average for quality. While the capacity is a little on the snug side at 2.02 cubic feet, the W3038 is quiet enough to run in any room of the house without disturbing you. It doesn’t need to be tucked away in a basement or garage. It also comes stacked with features, such as 18 wash cycles, 6 temperature settings and an intuitive LCD display. The machine is also stackable with the compatible dryer (Miele T8033C) and has an energy consumption rate estimated at 139 KWh per year. This works out at an estimated average of $15.42 per year. 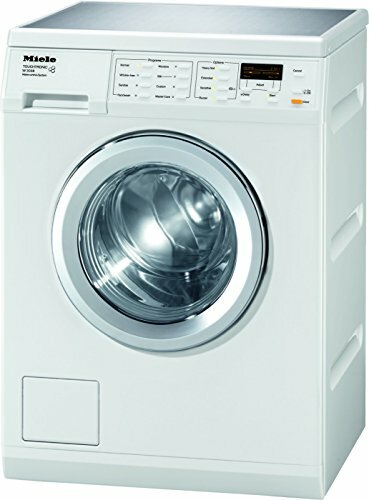 Another quiet washer is the Samsung WF50K7500AV Mega Capacity Washing Machine. Here it comes bundled with the compatible dryer, and what a team they make. This washer is another front loader, but comes with an impressive capacity of 5 cubic feet. In terms of noise, Samsung are known for using VRT technology in their washing machines to significantly reduce the sound level. This is taken a little further in the WF50K7500AV, which employs VRT Plus. This is 40% quieter than Samsung’s standard VRT tech, and utilises sensors to ensure that even heavy loads are well balanced to reduce vibration. PowerFoam Tech, to optimize detergent effectiveness. Self Clean technology to keep the drum in a tip top hygienic state. The Avanti TLW09W is portable, quiet and affordable. Since it’s a top-load washer, you must insert your clothes through the top of the washer. Unlike many other portable washers, this unit has a plastic wash tub. To generate the friction needed to get clothes clean, this washer generates pulses of energy from the bottom of the unit, which eliminates the need for an agitator. For easier movement, it comes with built-in rollers, so you shouldn’t have much trouble moving it around your home. To prevent water waste, the Avanti TLW09W offers three different options for load size. 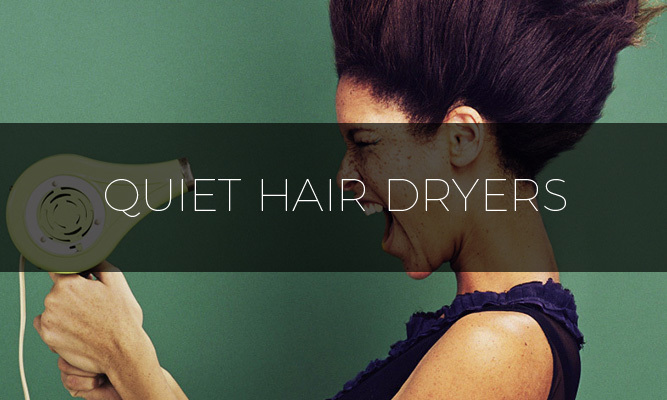 It operates quietly and uses a lint filter to remove lint from your clothes. With a transparent lid, the TLW09W lets you see what’s going on inside of it. The compact size and portability make this washer very convenient for busy people. LED status indicators never leave you in the dark and let you see what the washer is doing from a distance. The pulsating bottom portion of the unit doesn’t need an agitator to clean clothes.